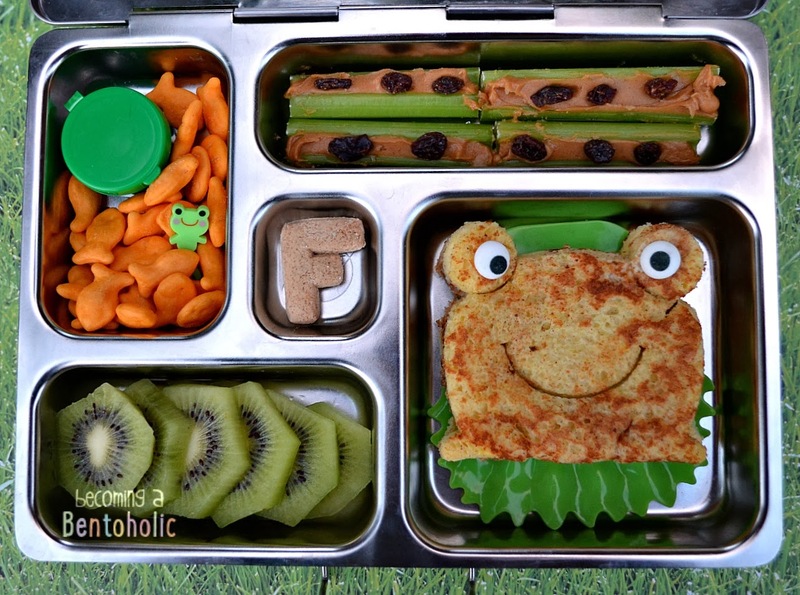 In this lunch: Leftover French toast which I cut with my Lunch Punch into a frog. Icing eyes (one is a lazy eye), kiwi slices, ants on a log (celery with peanut butter and raisins) goldfish, maple syrup in the small green container, and a letter F Trader Joe's cinnamon schoolbook cookie. Love your 'F' themed lunch! Now I want french toast! Yum!